Thrush is a painful smelly condition that affects the frog of a horse’s hoof. The frog is located on the underside of the hoof and touches the ground when a horse is standing on soft footing It is shaped like a triangle and extends midway from heel to toes and covers about 25% of the bottom of the hoof. Thrush is a bacterial infection that doesn’t require oxygen to grow. It produces a black discharge and a strong unpleasant odor. If not treated, thrush can spread to other tissue. 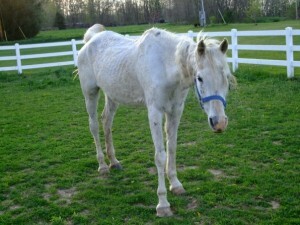 In this case, the infection is longer-lasting and can lead to lameness. Horses have a natural hoof-cleaning mechanism, but improper hoof trimming and not enough exercise can impair its effectiveness. To help prevent thrush, clean your horse’s hoofs daily, ridding them of dirt, debris and mud. Trapped moisture is then released, allowing oxygen to reach the area and helping prevent bacteria from taking hold. Cleaning should be done to treat thrush as well. Keep the horse’s stall as clean and moisture free as possible. 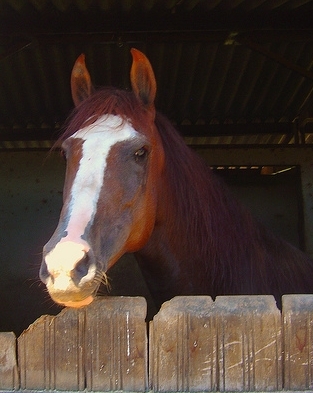 Treatment of thrush includes removal of any necrotic tissue by your vet, proper hoof trimming creating proper balance and adequate exercise. Your vet will prescribe any necessary medications for infections. Before using any commercial products, antiseptics or astringents, discuss their use with your vet to avoid damage to the area. Even if your horse has poor hoof conformation, daily cleaning of the area can prevent thrush from occurring. 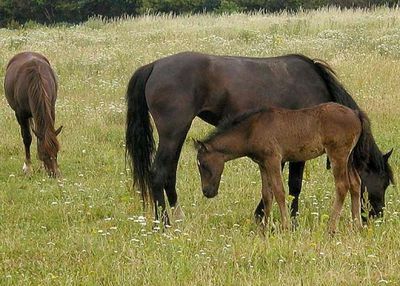 What are some illnesses affecting Horses?